Introducing the all new Clover® Flex! 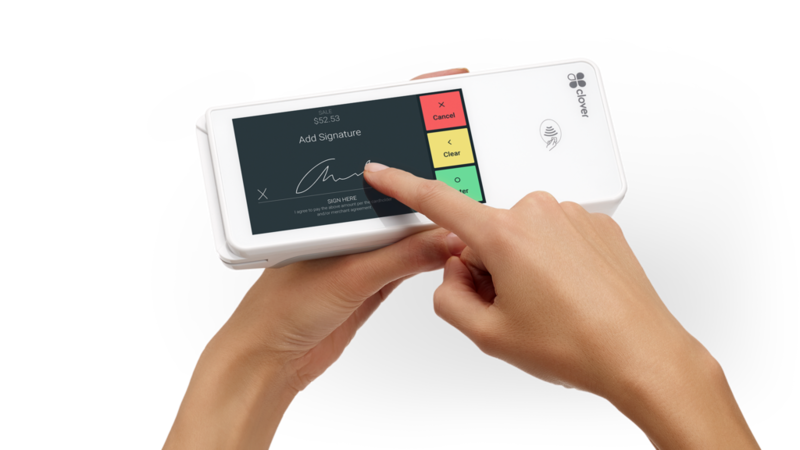 Are You Ready To Get Your Clover Flex POS? Clover Flex is the feature-packed, space-saving POS you’ve been dreaming about for your small business. Checkout where you are. Not where your counter is. 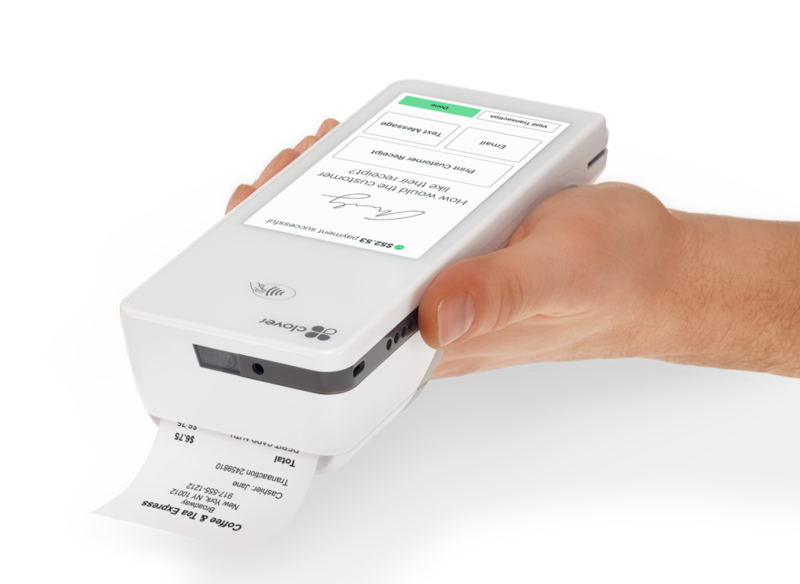 No need to run back and forth from your customer to your counter to process a card, print the receipt, get the customer signature, and adjust the tip. Just do it right there with Clover Flex. 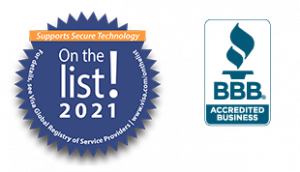 Clover Flex accepts electronic signatures, and emails and texts receipts. And we store everything for you – so no more piles of paper receipts, which makes things a lot easier in the event of a chargeback. Clover Flex works seamlessly with other Clover hardware, so you can take orders in line or at the table, and close them at the counter on another Clover device.